The lung (lat. pulmo, -onis) is the essential respiration organ, for the oxygen exchange. 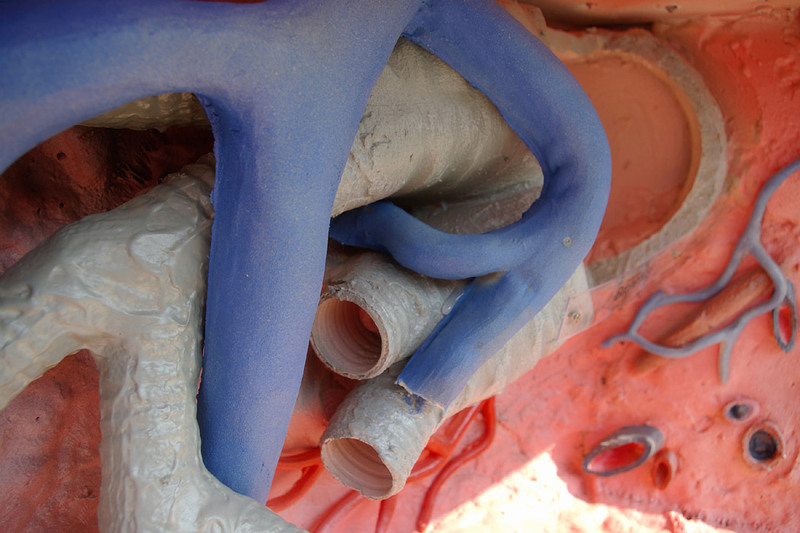 The human organ consists of two parts, the left and the right lung which are located in the thoracic cavity. The lung expands from 1 to 2cm above the clavicle to the diaphragm, the position of which can be variable predominantly depending on the respiratory and body position (higher when lying than sitting). 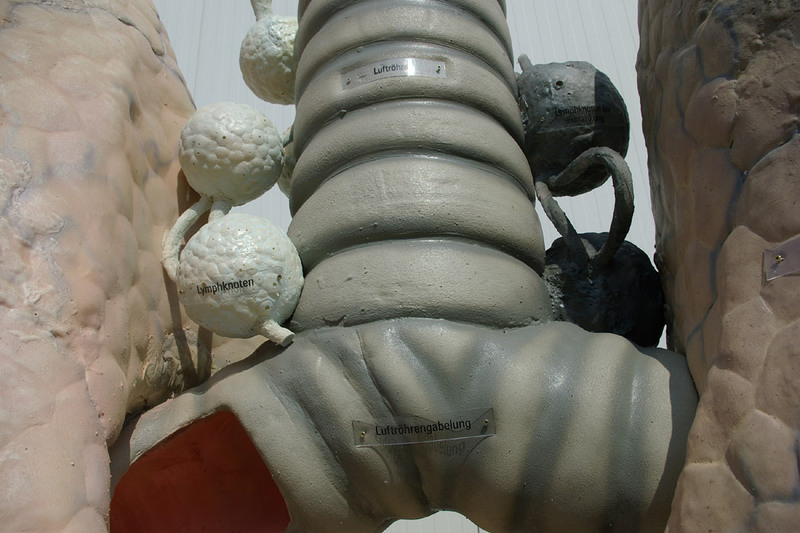 The upright standing model displays healthy bronchi with a natural pink colour in the right lung. 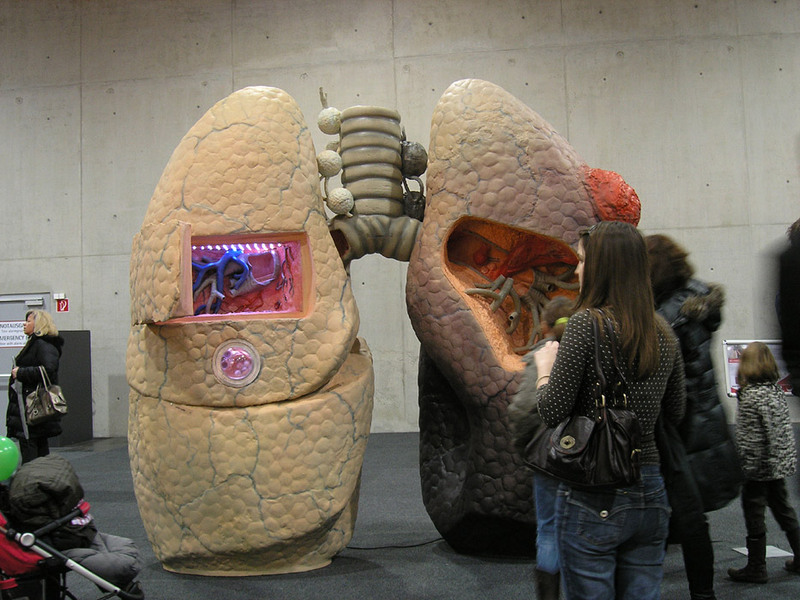 The upper part of the lung can be opened providing the visitor with a view on the healthy organ. An opening in the outer wall of the organ uncovers a magnified look onto the pulmonary alveoli – as if looking through a microscope. 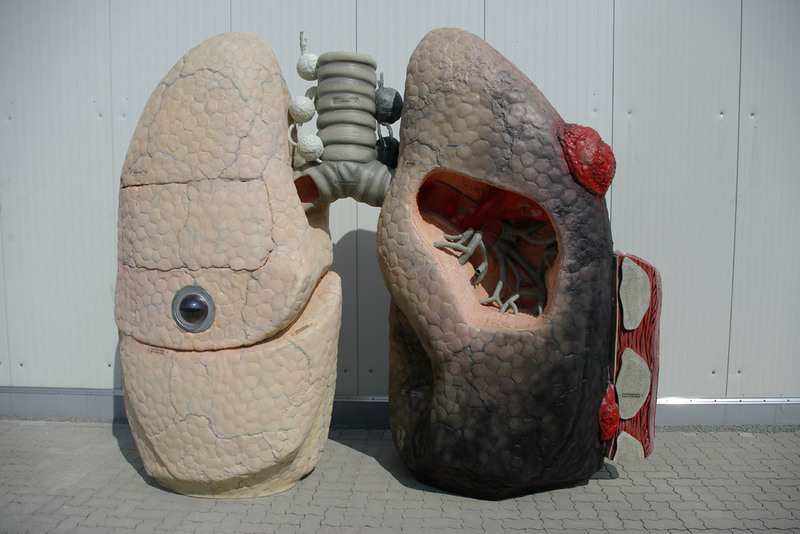 In contrast, the left lung exhibits cancer and its stages of development. 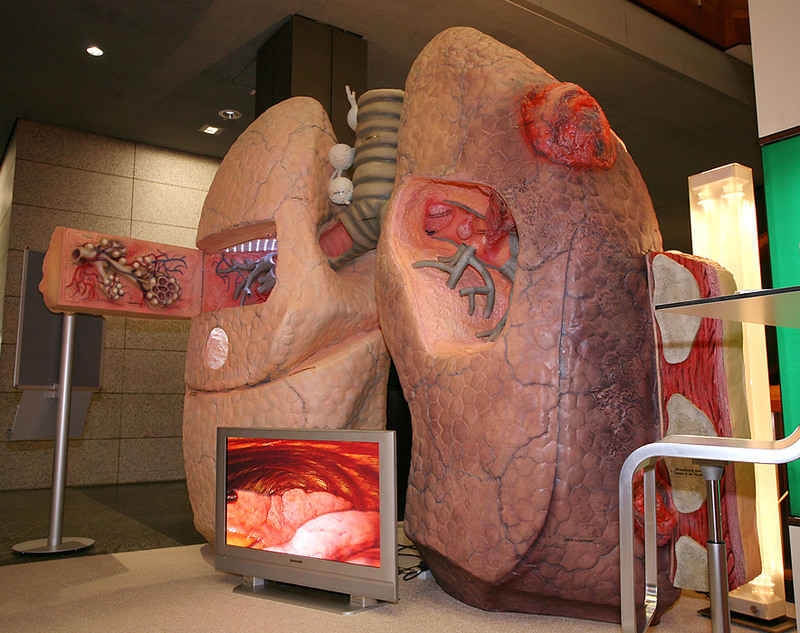 Smoking constitutes a major cause for developing a malign lung tumour, thus the model signifies clearly a smoker’s lung. Reticular pulmonary blood vessels and the bronchi in black colour have black deposits. 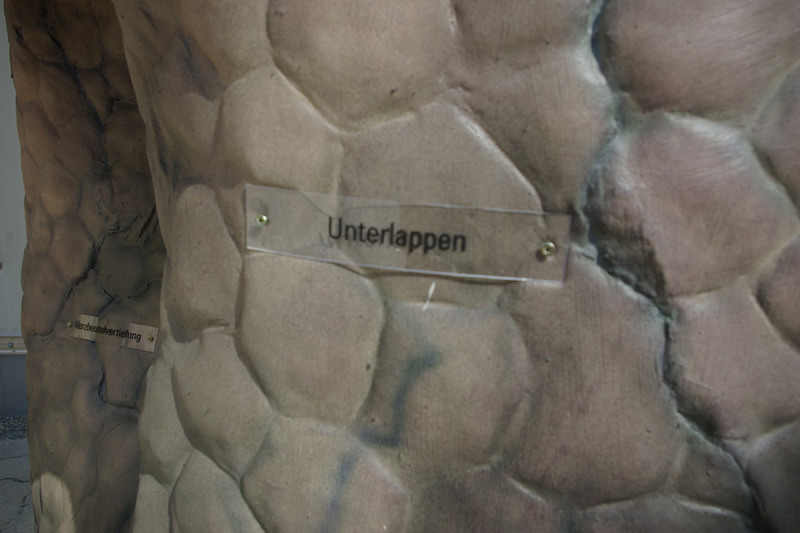 In the upper part of the model, diseased tissue can be observed through an opening. Various stages of developing cancer can be examined in the cut lung – from the early stages via polyps up to the breakthrough in the lung walls. 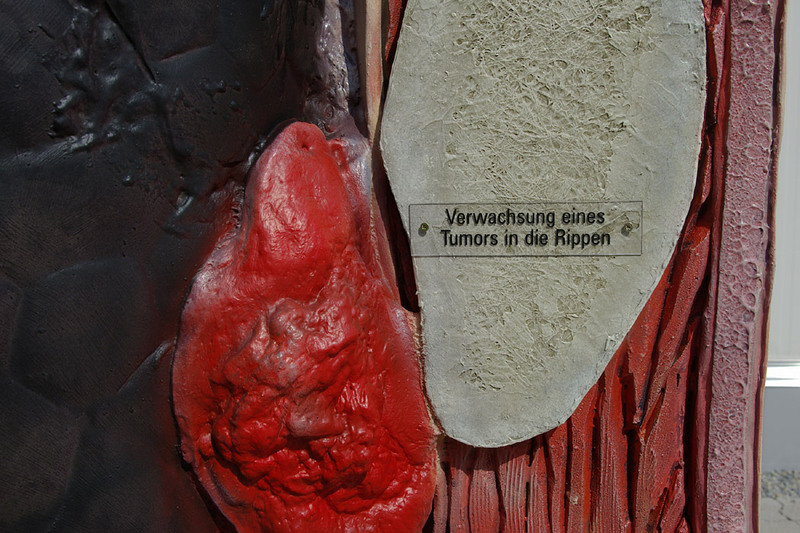 In the lower part of the left lung, the cancer carcinoma has broken through the outer lung wall and has grown together with the thorax. 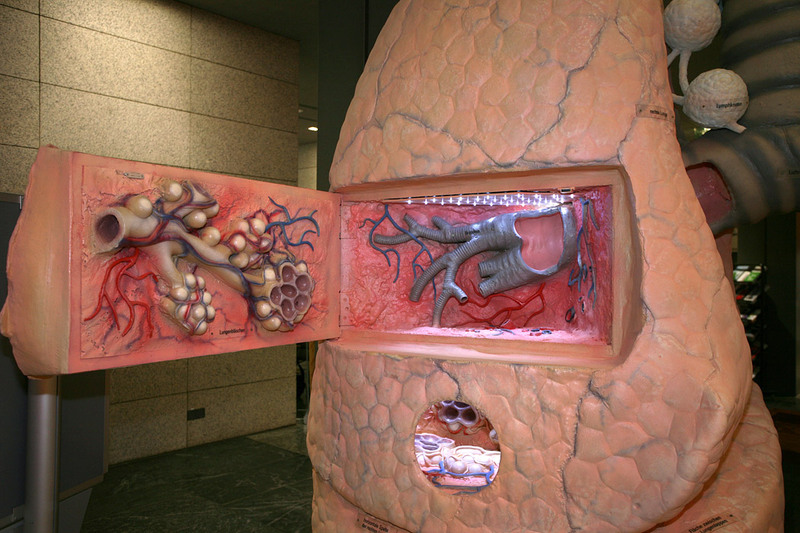 The lung model was developed in order and in collaboration with AstraZeneca and is owned by AstraZeneca.